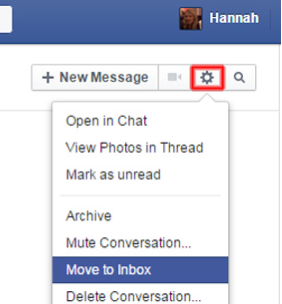 I know you must have all heard by now about the 2nd message box in your Facebook account. The one that is used by Facebook for your filtered messages. Well it is really important to take a few minutes to check it out. People can miss out on so many messages from perhaps people you’ve tried to contact on Facebook, or for those looking for you. If you’ve ever posted something for sale and wondered why nobody got back to you…check the hidden box. Some may be junk but some may not. Worth a look anyway! OK here’s how. usual browser. 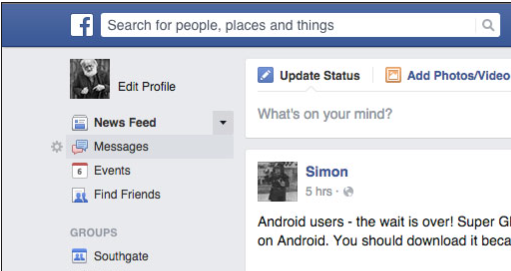 Look at the page that displays your newsfeed then click MESSAGES in the list on the left column of the page. This opens your message inbox. Step 2 – Look at the top left of that page and you’ll see a ‘greyed out’ MESSAGE REQUESTS and a MORE tab. Click on the MORE tab which will produce a dropdown list. Click on FILTERED and you’ll then see the messages you have missed. 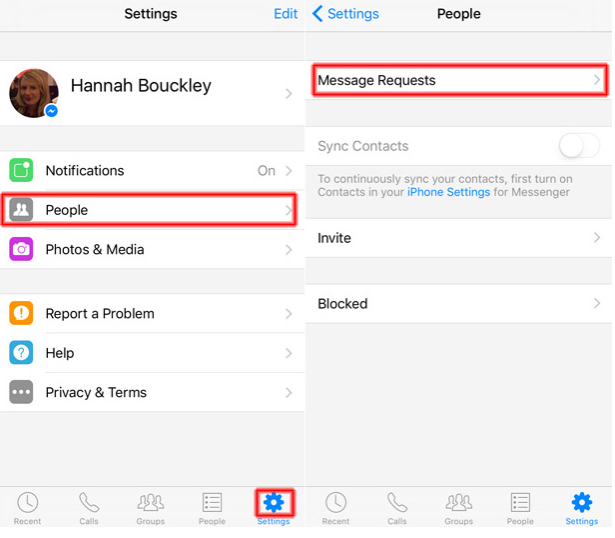 Step 3 – Want to move a message to your regular INBOX? Step 4 – Want to see it on your smartphone app? Launch Facebook App. Then click SETTINGS icon. Select PEOPLE. Then click on MESSAGE REQUESTS. 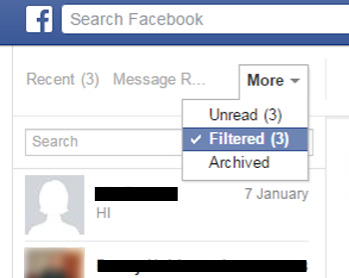 will see your filtered messages.